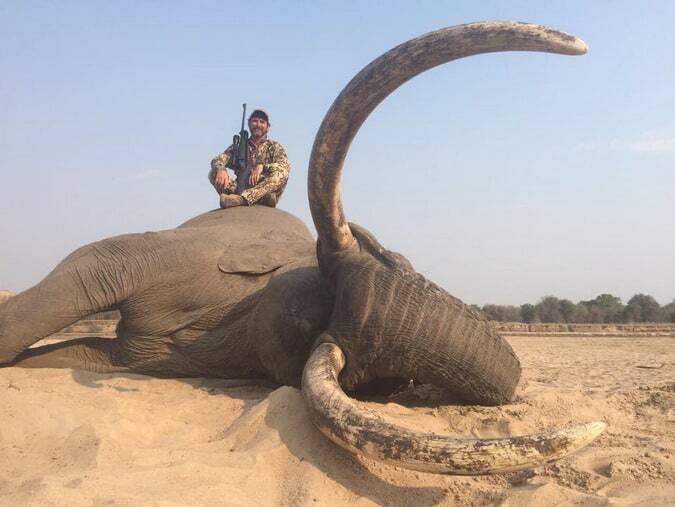 BUTLINCAT's BLOG: EVIL IVORY HUNTERS KILL AGAIN: "“Iconic Tusker” Shot Dead By Trophy Hunters In Zimbabwe"
EVIL IVORY HUNTERS KILL AGAIN: "“Iconic Tusker” Shot Dead By Trophy Hunters In Zimbabwe"
Less than 50 true Tuskers remain in Africa, yet this trophy hunting organization is applauding the death of one. Did you know? Within the next ten years, the African elephant is expected to go extinct. Despite this haunting fact, the intelligent mammals continue to be shot down by trophy hunters and poachers. To make matters worse, an “iconic Tusker” was recently brought down by trophy hunters in Zimbabwe. Reportedly, each of the mammal’s tusks weighed 100 pounds each. This is harrowing news, as there are reportedly fewer than 50 true Tuskers left in Africa. 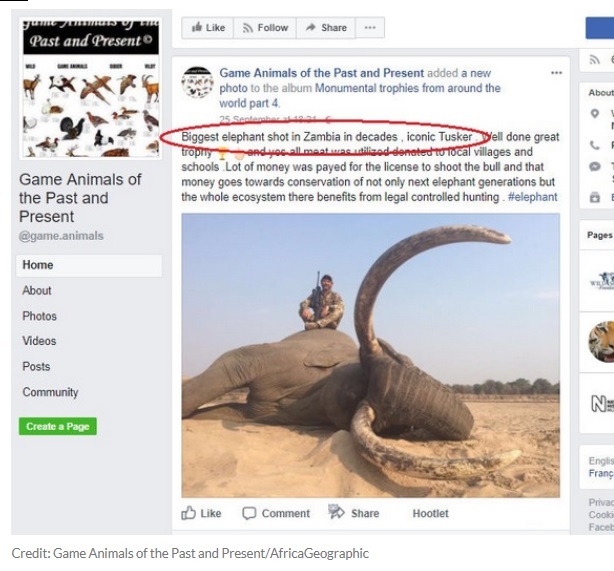 In response to negative comments on the post, the Game Animals of the Past and Present responded that all parts of the elephant were used. 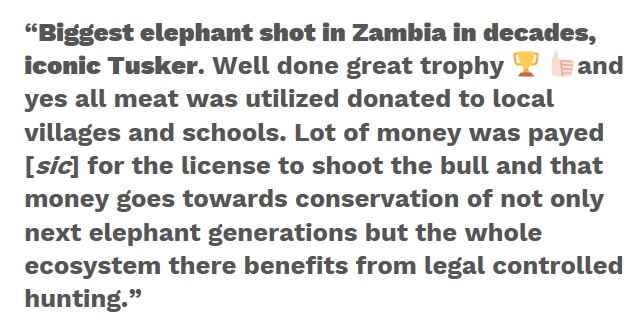 Reportedly, the hunter takes home the skin and tusks and the meat is “donated” to local villages and schools. The money paid by the hunter then goes toward conservation practices in the region. Additionally, though hunting groups claim that a small amount of controlled trophy hunting is good for the population of various species, the opposite appears to be true. Wrote Jeff Flocken for National Geographic,“Approximately 600 lions are killed every year on trophy hunts, including lions in populations that are already declining from other threats…The adult male lion is the most sought-after trophy by wealthy foreign hunters. And when an adult male lion is killed, the destabilization of that lion’s pride can lead to more lion deaths as outside males compete to take over the pride.” If you desire to learn more about the truth of trophy hunting on conservation, click here.